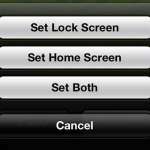 Figuring out the best way to watch streaming video content on your TV seems to get more and more difficult each year. 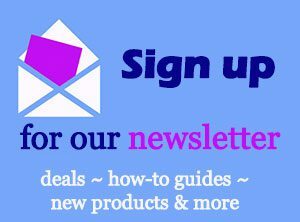 There are tons of different options, most of them do very similar things, and they all are all affordable. So if you like the form factor of the Google Chromecast, but are looking for an option with a remote control, then you should definitely check out the Roku Streaming Stick. It has all the benefits of the Roku channel library, it’s very easy to use, it’s affordable, and it is nearly identical in size to the Chromecast. 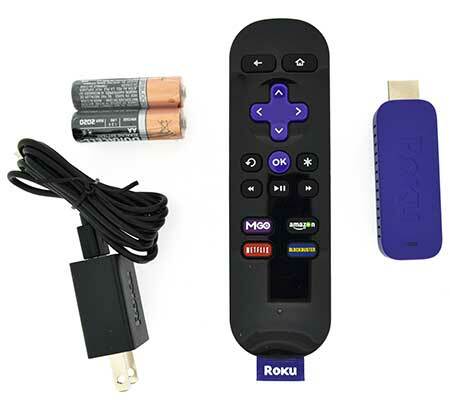 Continue reading below to see what you will get when you purchase the Roku Streaming Stick, what the setup process will be like, and what you should expect once it is configured and ready for use. If you are new to the set-top streaming market, then there are a couple of points to be familiar with before you decide to purchase the Roku Streaming Stick. To watch subscription services like Netflix, Hulu Plus, Amazon Prime or HBO Go, you will still need to have a subscription to watch that content on the Roku. You will need to have a wireless network in your home to be able to use the Roku Streaming Stick. 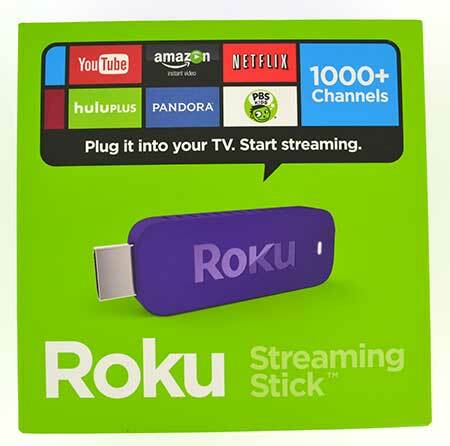 There are some set-top boxes that can connect to the Internet via a wired connection (such as the Roku 3 or the Apple TV), but the Roku Streaming Stick requires a wireless setup. The package is very small, as is the product contained within it, and features the typical marketing information that you would expect. The bottom of the box features a sticker with the model number (3500R) as well as the serial number. Inside the box you will see the Roku stick itself, then underneath it is located the remote control, power cord and batteries for the remote, as well as some instructional information. This is a pretty simple and straightforward product, and the lack of assembly required is going to be very appealing to people that are just looking for a simple solution to video streaming. Once you have inserted the batteries into the remote control, plugged the Roku Stick into your TV’s HDMI port (and connected the power cable, if your TV cannot supply power to the device), then you are ready to get started. Turning on your TV and switching to the Roku input channel will display the bouncing Roku logo, which will be there for a moment as the device gets started. The Roku is going to remain on for the duration of the time you have it, as it enters a sort of hybrid sleep state when not in use, so you won’t see this screen again unless you disconnect or restart the Roku. The Roku will then search for the remote control. 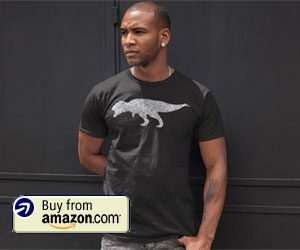 The device communicates with the remote over your Wi-Fi connection, so you do not need to worry about a line of sight from the remote to the Roku Streaming Stick. Once the remote has been connected you will be prompted to select your wireless network, enter your wireless network password, then wait for the Roku to connect to the Internet. The next step is going to require you to download an update for the Roku operating system, which can take a few minutes depending upon your Internet connection speed. 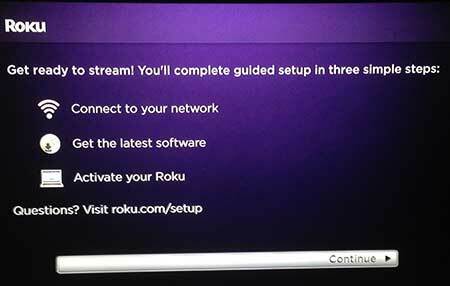 After the update has downloaded and installed you will be given instructions to connect the Roku to your Roku account, which must be done on a computer. If you do not already have a Roku account, you will need to create one. The Roku account creation process will require you to enter a credit card in case you want to purchase a channel, but your card will not be charged if you do not purchase a channel. I’ve had a Roku account for several years and never actually had to spend any money to buy a channel from their store. 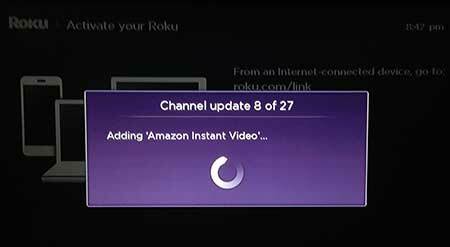 If you have ever used a Roku, then this is going to be very familiar. The menu is exactly the same as the one on the Roku 1, Roku 2 or Roku 3, and includes access to all of the same channels, as well as the one-stop search feature. The remote control is responsive, and the fact that it works over your Wi-Fi connection means that you can use it even when you cannot directly point it at the Roku stick. The channels load quickly, and the performance seems to be comparable to that of the Roku 1. It is not as fast as the Roku 3, but the faster processor of the Roku 3 is one of the reasons why it is twice the price of this streaming stick. The Roku Streaming Stick can output content in 1080p resolution, and the resulting video looks just as good as what you will see on any of the other Rokus, the Apple TV or the Chromecast. 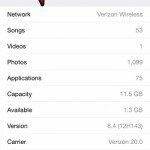 The Wi-Fi reception also performs comparably to those other devices, as it features dual band Wi-Fi that allows it to connect to 2.4 and 5 GHz networks. Should I Buy This or the Chromecast? The Chromecast is going to be the best choice for three groups of customers. Those that simply want the cheapest option, those that are heavily invested in the Google Play ecosystem, and those that really want to be able to stream content from the Chrome browser on their computer to their TV. The Roku 3500R Streaming Stick is the superior product in almost every other situation. It has access to a much larger selection of content, it has a remote control, it doesn’t require another device to control it, and it is easier for children and the less technologically-inclined to use. Read more about the Chromecast here. Should I Buy This or the Roku 1? This is a much more difficult decision to make, and will likely boil down to whether or not the TV that you are connecting to has an HDMI port or not. The Roku 1 has both an A/V port (red, white and yellow cables) and an HDMI port, which gives you two separate connection options. The Roku Streaming Stick (3500R) can only be connected to an HDMI port. Aside from the obvious form factor difference, these two products are otherwise basically indistinguishable. Find out more about the Roku 1 here. This is another solid product from Roku, and anyone that is looking for a set-top streaming device will be happy choosing this over other comparable devices. I’ve always found the Roku interface to be very simple to navigate, and the presence of all of the top video-streaming channels means that you will always be able to find something to watch. The price is right for a device like this, and the simplicity with which it can be set up means that you can easily move it between televisions in your home. You can read some additional reviews of the streaming stick here, or you can go here to purchase it from Amazon.